Welcome to the website for Quail Green South Community Association. 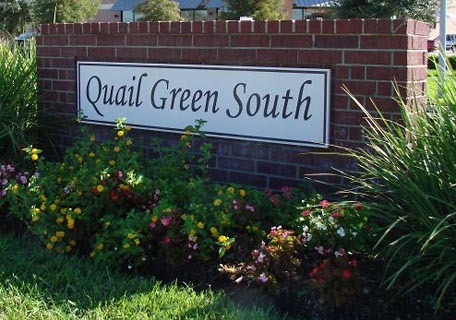 Quail Green South Community Association is home to 153 family homes. The amenities in the community consist of a community park. The association is a non-profit corporation whose purpose is to manage the facilities, activities and business of the community for the current and long term benefit of all homeowners. For a listing of community sponsored events please visit our events calendar. The Board of Directors meets quarterly on the 4th Tuesday of the month. Meetings are held at the Missouri City Police Training room located at 1522 Texas Parkway in Missouri City, Texas 77489. The meeting agenda is posted at least 72 hours prior to the meeting. The Annual Membership meeting is held in August of every year. Notices are mailed to all owners prior to all membership meetings.